Designed in Porta Romana’s signature style, the Solstice Wall Light bridges the gap between wall art and wall light. Crafted by skilled artisans, the wall light is created using two rounds of blistered metal layered together to create a circular sculpture. An exquisite crescent shaped opening is left to allow a soft diffusion of light to pass through the shapes. 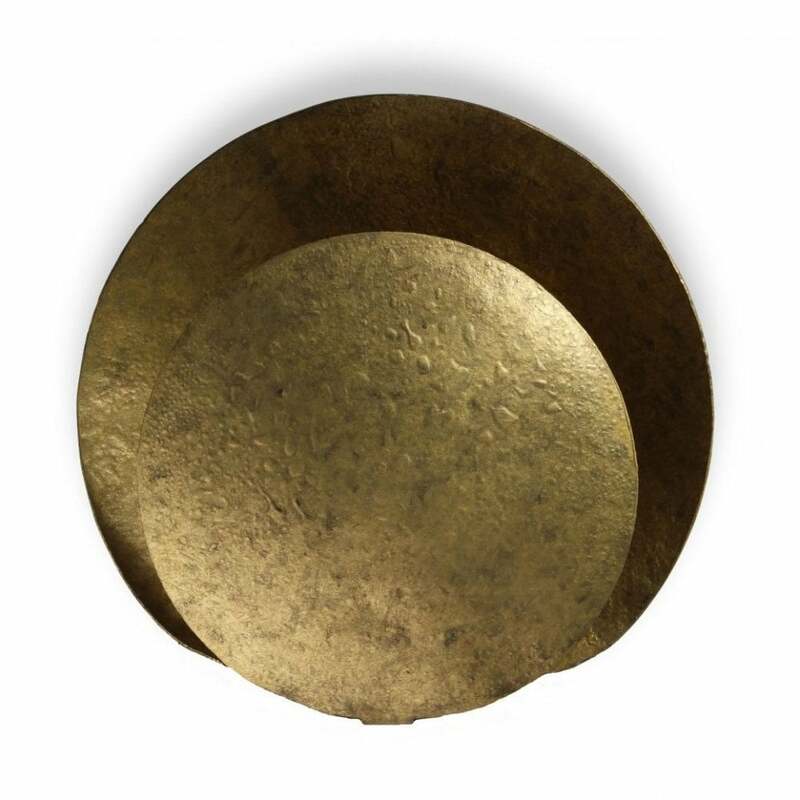 With an incredible crater-like texture, the Solstice Wall Light comes alive when lit. Use as a statement piece alone or group together to create a statement lighting display. Available in either a Blackened Steel or Galactic Gold finish.